I quit my corporate work in 2008. When I graduated from college in 1997, I told myself that I will only work in an office setup for a decade. I saved all my 16th month bonus pay and was very diligent with my spending to achieve my goal: Quit 8-5 work in 10 years and pursue my passion. The first few months of my freelance work was very challenging. There were times I almost applied for an office work. I was happy pursuing my passion in writing but my funds were almost depleted. There even came a time when I was financially dependent on my husband. He is generous but I was raised working hard for money. Most of my friends are envious of my freelance work. They see my social media posts and they feel like I'm just having fun and enjoying my life. Pursuing your passion doesn't mean you'll instantly get rich. Freelancing is never easy. It requires the same qualities an office worker should have: hardwork, discipline, and dedication. 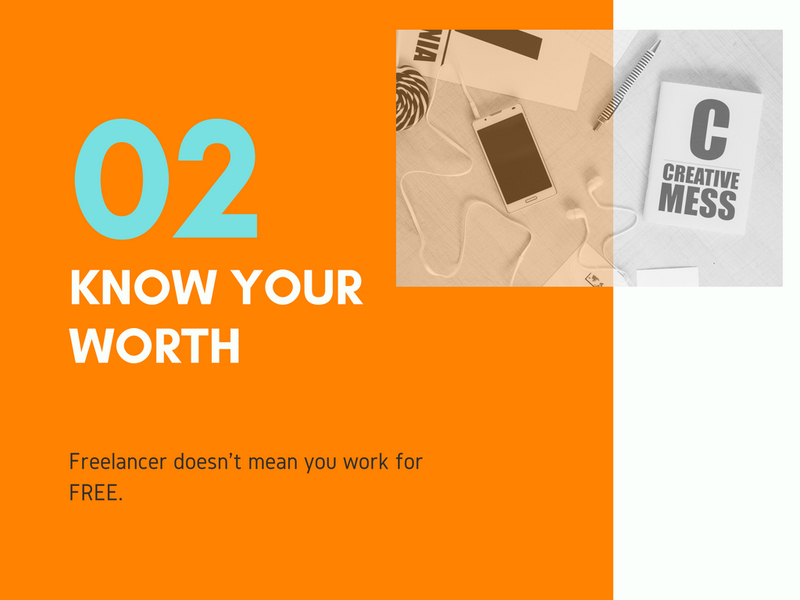 If you are planning to pursue your passion and do freelance work, you cannot do it halfheartedly. Also, your financial habits can make or break you. 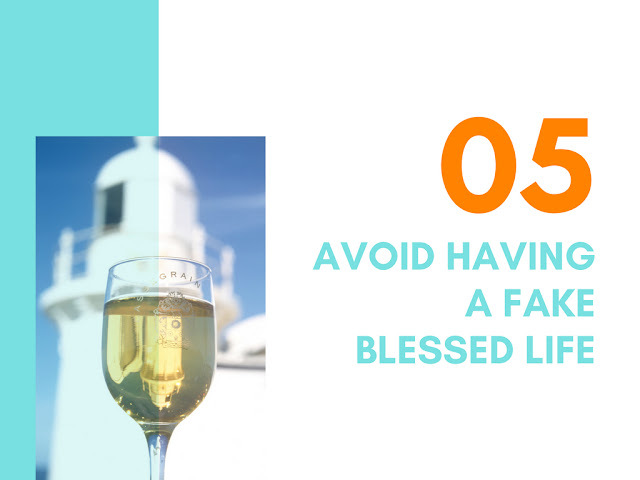 Here are some financial habits you should develop. 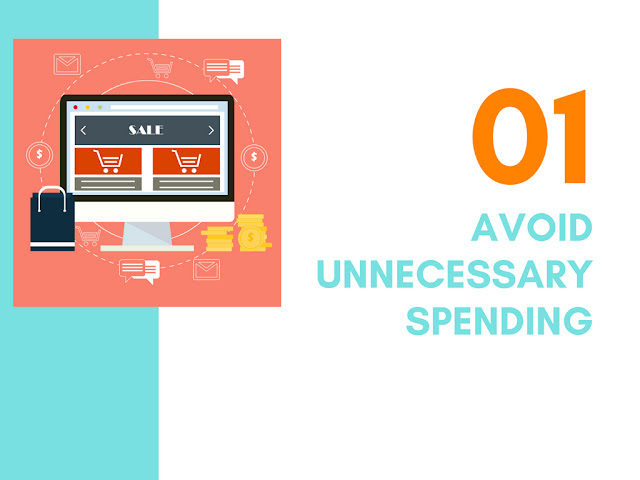 Keep in mind that you have limited resources and having a credit card doesn't entitle you to go on a shopping spree. Only spend for the things you will need for your freelance job. I was using my dependable 7-year old HP Pavilion laptop for my writing gig since I don't really need a high-end laptop. I only bought a new Dell laptop last year from the money I earned when the one I was using was beyond repair already. I paid in cash because I don't want to be dependent on my credit card. I'm still saving up for a new mid-range smartphone. Remember: If you don't need it, don't buy it. I was paid $2 for my first ghostwriting gig in 2008. I was required to submit 25 100-word articles weekly about boutique hotels and restaurants in South Korea. I felt that $50 weekly income was fair enough for a newbie like me. Fast forward to 2018, the highest pay I received for a 300-word article was $140. Filipino freelancers are a bit shy when discussing about money. I see freelance writers accepting $2 job for a 500-word article. That was my rate 10 years ago for 100 words. Never let anyone take advantage of you. If you know you are doing a good job, your rate should reflect the amount. 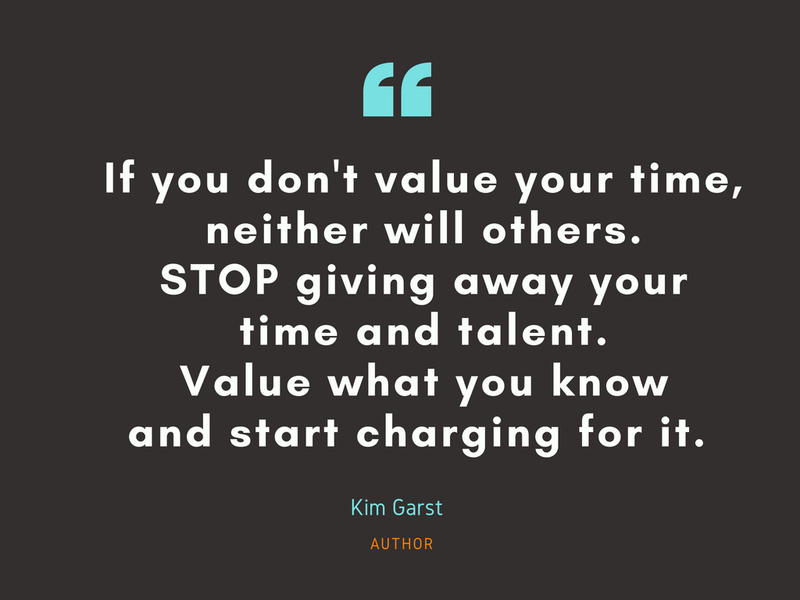 You should know the going rate for the job in your niche. Most of us are accustomed to the equation INCOME - EXPENSES = SAVINGS. For a change, try the INCOME - SAVINGS = EXPENSES and see the difference. Every month or every pay you receive for your freelance work, set an specific amount you wish to save. It could be a percentage of your earnings. Make sure that you set a realistic amount. It is okay to start small. Freelancers do not have the perks of those working in the corporate like health card, paid leaves, bonus and retirement plan. 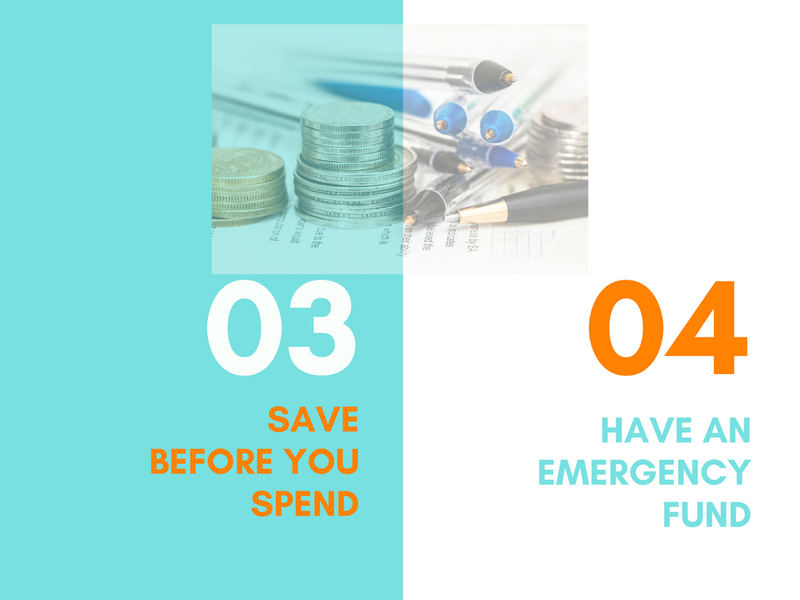 The ideal amount of emergency fund is equivalent to a three-month salary. 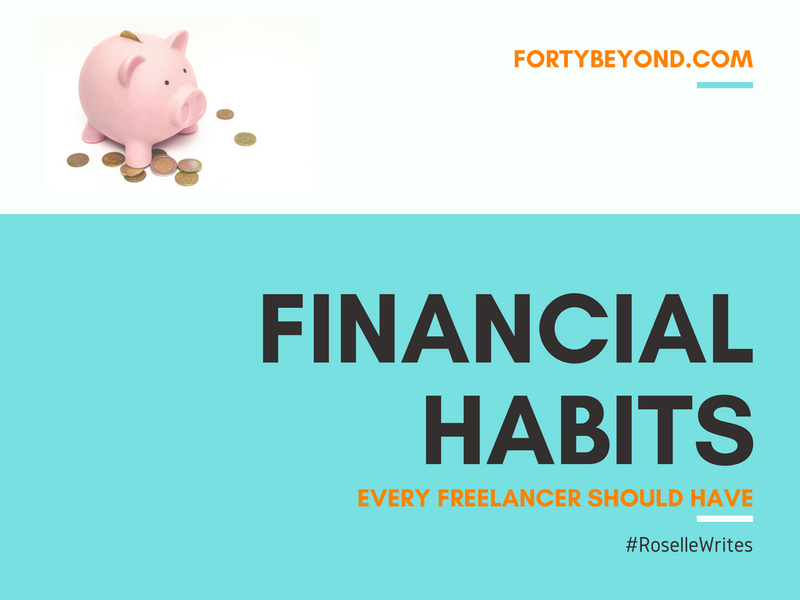 Since freelancers are not paid with fixed amount, determine how much your monthly expenses and multiply it by three. Also, take into consideration the amount you might be needing in case you get sick or hospitalized. Our family went through some financially challenging situations. My mom fought cancer twice, my dad got hospitalized twice in 2016 that has cost us roughly 500k. Recently my sister was unexpectedly confined for a week and the hospital bill was 320k. Tough! Truth: It is very expensive to get sick. Consider having a health protection insurance. I'm actually looking into Sunlife's Sun Maiden for my health protection needs. Tip: Be a voluntary PHILHEALTH member. You only need to pay P2,400 annually or P600 quarterly. If you can afford to buy a cellphone load, you definitely can afford to pay for your PHILHEALTH. Are you familiar with the phrase "keeping up with the Jones"? It originated from the early 1900s comic strip where a social climbing family struggled to keep up with their neighbor, The Jones. The idiom became popular and means the comparison to one's neighbor as a benchmark for social class. People nowadays are so concerned with their facebook feeds and instagrammable life. Looking rich on social media is not the same as being rich. Live a lifestyle you can afford. Instead of focusing on what your friends are buying and where they are travelling, focus on your goals. Aim for financial independence instead of social media likes. They say, "follow you passion and the money will come". Yes it will. Eventually. You must love what you do and never stop learning. There will always be someone better than you who will come along. Be financially savvy but maintain your integrity. Work hard to afford to live your life on your own terms. yes true people always want a good photo on facebook instragrm and no real money.